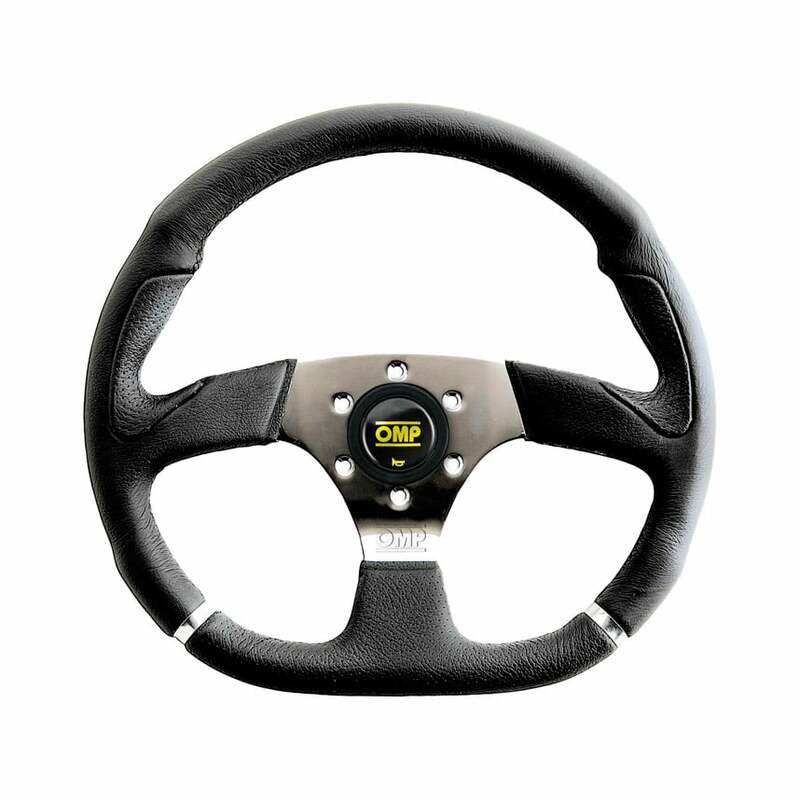 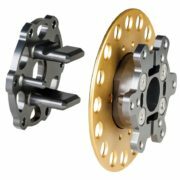 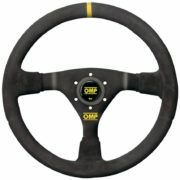 OMP’s Cromo Steering wheel is a d-shaped design ideal for tigher cockpits or where access is a problem. 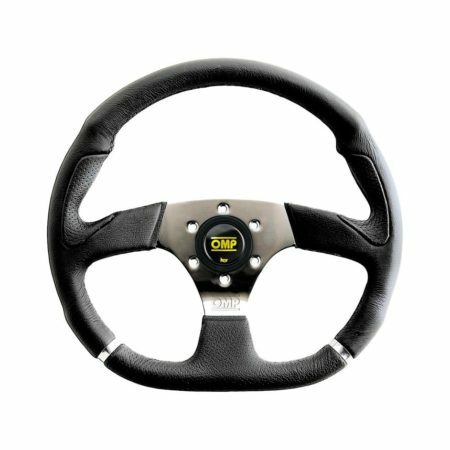 The Chromo features a high quality leather outer for optimum comfort and control, which also includes designated grip area and dual chrome bands on the grip for an extra detailing twist. 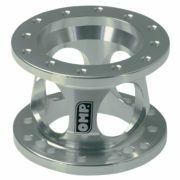 The anodised silver centre/spokes ensure a clean and contemporary contrast which also features subtle OMP branding plus a OMP branded horn push.